As we move into a social studies world that is asking kids to collect evidence, organize evidence, create products, and communicate results, writing skills are becoming more and more important. But for the last ten years or so, at least in the state of Kansas, we’ve asked kids to focus instead on memorizing content. So now when we’re asking our middle school and high school students to not just write more but to use evidence while proving assertions, we get a lot of blank stares. Steal a practice used by a lot of elementary teachers and start training your secondary kids to use evidence-based terms while writing. Evidence-based terms are simple phrases that support the use of, well . . . evidence. So if we ask kids to look a couple of primary source documents and develop a thesis from their analysis, they have some scaffolding to help them do that. 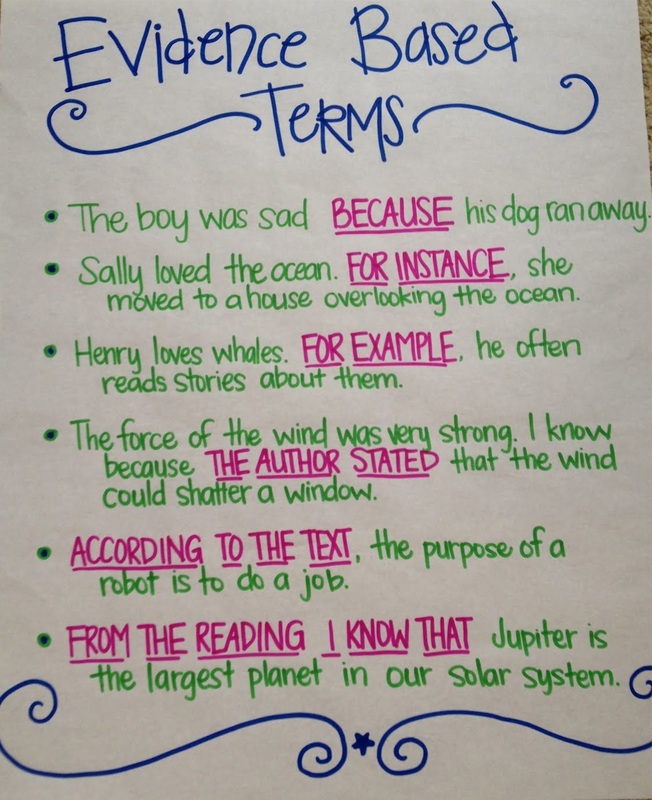 You might even want to create your own poster and hang in your room with sample sentences from a variety of different sources including multimedia. You should also model for your students with a “read aloud” and demonstrate the use of evidence-based terms before turning them loose on a set of documents. The writer of this document is Lieutenant John Barker, an officer in the British army who was in charge of troops at the Battle of Lexington. The soldiers must have been cold because the second line of the text says “we began our march by wading through a very long ford up to our middles.” The second line of the text says is an evidence-based term that I can use to support my idea that the soldiers were cold. He states that “they fired one or two shots.” He states is an evidence-based term I can use to suggest that American colonists fired first in the battle. One teacher used an Audi car commercial she found on YouTube to help kids practice using evidence. Is the father of the girl in the ad really an alien? Prove or disprove using evidence and evidence-based terms to answer the question. What really happened in Boston on March 5, 1770? Was dropping the atomic bomb on Hiroshima the humane or inhumane thing to do? Were African Americans really free following the US Civil War? What is the best balance between state and federal power? What does a “More Perfect” union really mean? Is it ever okay to violate the Bill of Rights? What is the solution to the dropping water table in Western Kansas? Should the local county commission allow energy companies to drill fracking wells within county boundaries? How much influence does the environment have on historical events? What name should be given to the federal land contested by General Custer’s 7th Calvary and the combined forces of Lakota, Northern Cheyenne and Arapaho tribes in June 1876? Because memorizing content isn’t enough anymore. Another excellent, thought provoking topic. I have spoken with colleagues, students, and my own children about necessary links between language arts and social studies in much the same way that science and math are linked. Expression of true understanding of social studies topics requires strong verbal and writing skills. Conversely, education on how to present strong verbal and written work showing clear and organized thought and research in social studies topics will strengthen language arts skills. Thanks for the re-post! And comment! 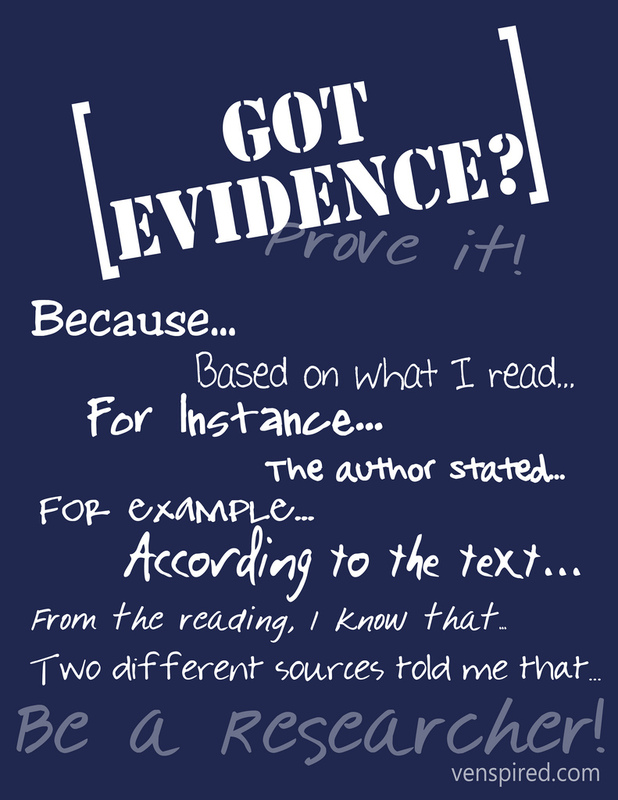 I like the idea of evidence-based terms – not just for kids but for SS teachers as well. Simple, basic but still effective in helping kids create strong arguments.